Q1) What inspired you to begin volunteer for Circle of Care? 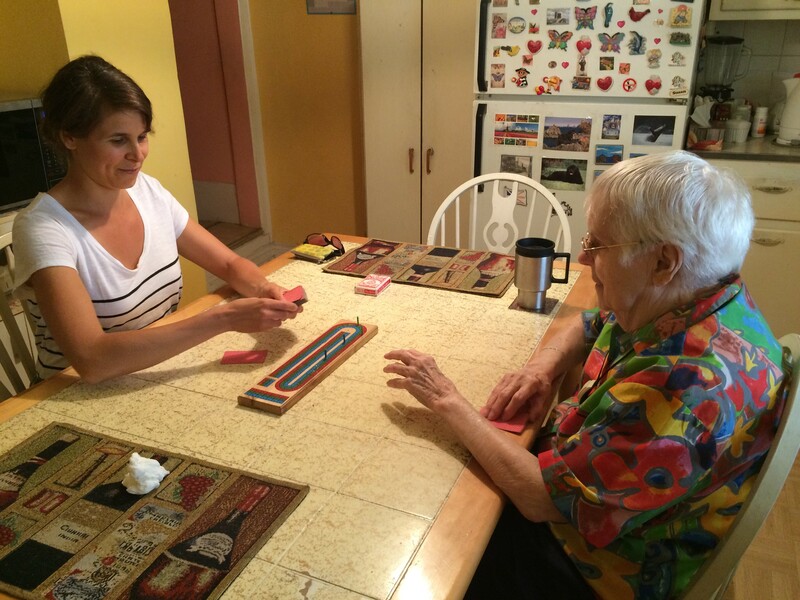 I was inspired to volunteer for Circle of Care because I saw how a group of committed volunteers and health care workers made the life (and end of life) of a relative of mine living alone in Winnipeg, Manitoba less lonely and more dignified. Q2) Is there a specific moment you recall while volunteer that made you feel like you made a difference? There was a moment when during a visit to Mount Sinai Emergency, holding Mary’s hand, she introduced me to one of the nurses as her “friend” (as opposed to “volunteer”). It was then that it really felt true. Q3) What makes a good volunteer? A good volunteer is someone who wants to make a genuine connection with another person and is willing to suspend judgement and try to see the world from that other person’s point of view. Q4) What advice would you give someone who is considering a volunteer position? Remain open to the unexpected. For example, when I first signed up to be a friendly visitor, I was under the impression that my client would be living alone with very little support from any family or friends. I was surprised to be paired up with somebody who lives with her daughter. At first, I wondered why I was needed at all but it quickly became clear that my visits were helpful for a host of reasons not the least being as care-giver relief. The pressure of being a full-time, primary care-giver is huge and care-givers need support to help them help their loved ones without buckling under the stress. Now while I visit her daughter can run errands, pick up groceries, tend to her own affairs all without worrying about her mom for those couple of hours. I am sometimes even referred to as the “adopted daughter”. Q5) What are your interests outside of volunteering? I am interested in anything that challenges and expands my world: art, books and travel outside of my comfort zone. I recently saw that Rebecca Belmore exhibit at the AGO. Highly recommended. Q6) Do you have any words to live by? Q7) What is the most recent book you read? I am originally from the West Coast but, quite unexpectedly, my heart has grown roots here in the city of Toronto.